As we embarked on the year 2015, I carried aboard three wishes, goals for myself as an artist. All three have been granted, including acceptance in the Florida's Finest en plein air Exhibition! I am thankful that my "Restoration Time" (also chosen for the American Impressionist Society show of 2014) is now hanging with the Florida's Finest. The exhibit opened in Apalachicola Florida and is set to travel the state. 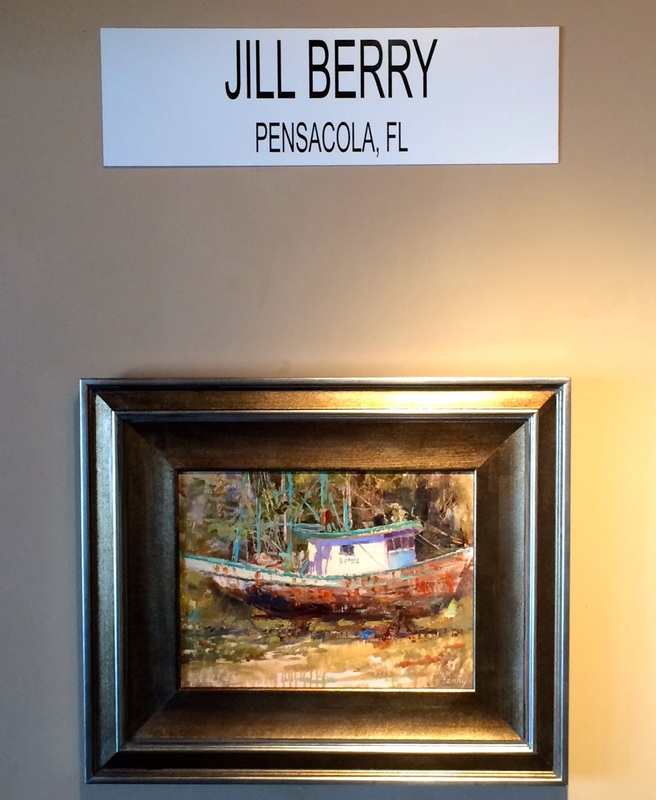 Each of the paintings features Florida scenes, painted in Florida, by Florida artists. 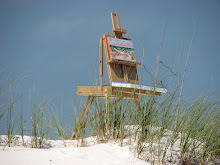 The Forgotten Coast en plein air Paint-Out celebrated their 10th year, and this special tribute to Florida's plein air talent was part of the festivities. Only ten of us were juried into the show to exhibit alongside accomplished artists - Morgan Samuel Price, Larry Moore, Hodges Soileau; and other artists that were deemed Plein Air Ambassadors by the Forgotten Coast event. Morgan Price selected the works for the Exhibit. It is an honor for me to be included in this group of 20. So many of today's fine artists have a lifetime of experience, many in graphic arts or illustration before becoming painters. This month marks 10 years since I set up shop in my little studio and followed my heart's desire to become a painter. I love living in Florida, and painting the Florida landscape. As I entered this show, I joked - "I just want to be Miss FL this year. That's all". Feasting on the yummiest seafood ever at an art reception! At the close of the party, the keynote address was given by Joshua Rose, Editor of American Art Collector. My other two wishes? 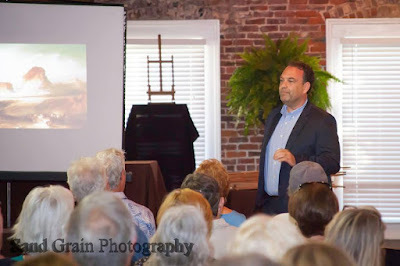 - I wanted to show in Naples, FL with the National Art Encounter. And above all - I wanted to get in the American Impressionist Society 2015 Exhibition. Mission accomplished!!! And I am so excited to attend the AIS gathering in Scottsdale, AZ soon! Satisfying, yes... but nothing is more fun to say than "Florida's Finest". I just love the sound of that. *NOTE I've added the option for new posts to be delivered to your inbox. My posts are rare these days, but if you are interested - enter your email address in the box at the top of the page. After you prove you can read, then you will receive a verification e-mail. That's where you will find the final click to "Follow by E-mail". this looks like it was such fun. I love the story of how the paintings are from Florida Artist of Florida. Thanks for sharing all the great photos! !